Thanks to Innova’s ring wrapping machine, your loads can be stable and secure during transport. The pre-stretchable film adapts perfectly to the volume of the load, with efficient wrapping and the least use of plastic possible. Thanks to the use of an elastic cord, the ring wrapper guarantees better hold and stability for the load. 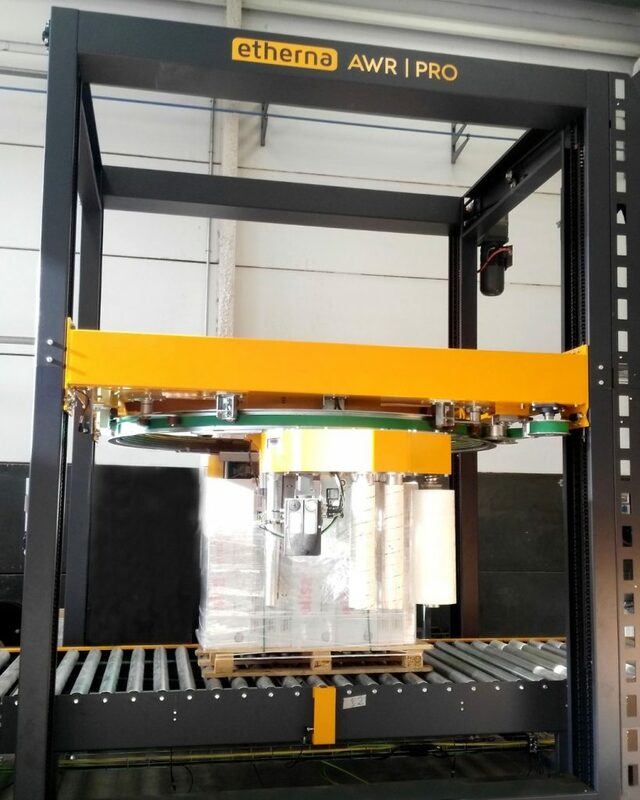 The wrapping machine uses the exact amount of stretch film necessary according to the load and pallet dimensions, thanks to its electronic system with torque control. 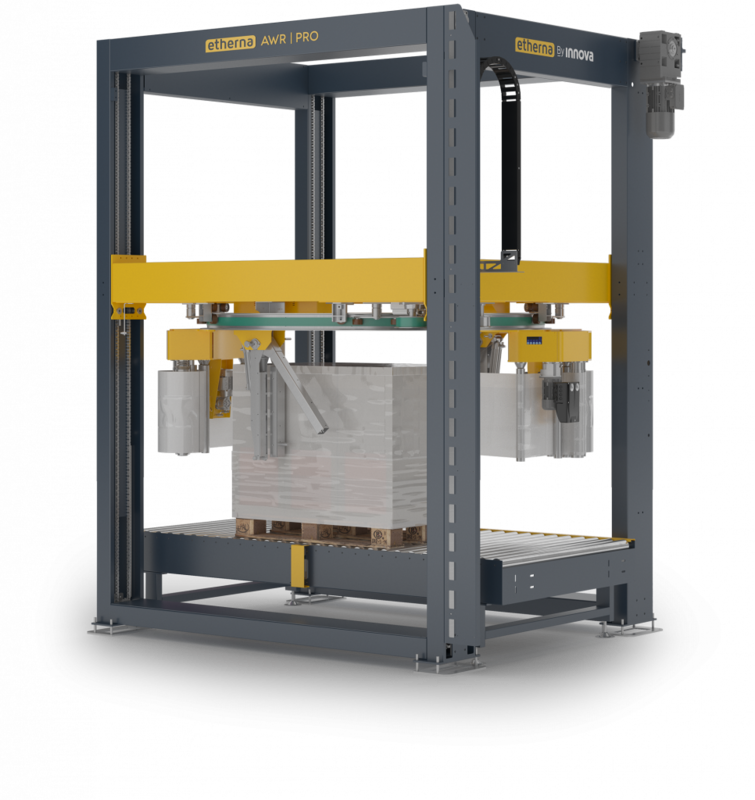 The Innova wrapping system lets you wrap up to 100 pallets/hour, contributing to the optimization of your end-of-line production. The wrapping system offers different types of stretch-wrapping and adapts to different heights, which makes it ideal for loads for order picking and logistics. The stretch-wrapping machine’s rotary ring system has a motor that lets you control the height when applying the layers of film and/or rope. The wrapping system can also be used to offer extra hold and fastening in your packaging line. Which packaging system do I need?